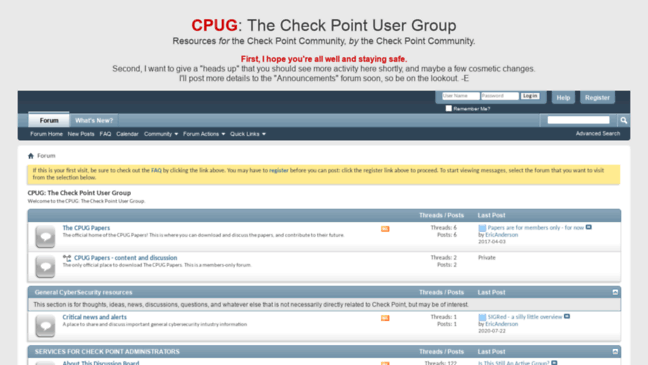 Cpug.org has one channel named 'CPUG: The Check Point User Group'. The website has a low global rank with a value of 423 719. Cpug.org belongs to category FAQs, Help, and Tutorials. CPUG is a website of moderate traffic with 2.76K visitors daily. According to analytics provided by MyWot, cpug.org is trustworthy and child safe.